What are the California Small Claims court rules? There are two types of rules that we use in California for small claims court cases. State-wide rules and local rules and the names are very descriptive of what they are. State-wide rules apply to the entire state of California (from Siskiyou to San Diego–North/South or the Pacific Ocean to the Arizona/Nevada border–West/East). 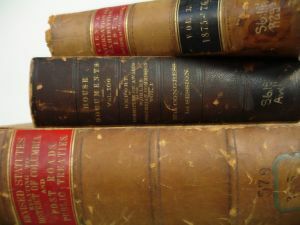 In order to resolve minor civil disputes expeditiously, inexpensively, and fairly, it is essential to provide a judicial forum accessible to all parties directly involved in resolving these disputes. What the court is saying here is we need to have a special system in place that makes it easy for nonlawyers (or lay people) to have their day in court. In fact, the training that judges undertake encourage judges to take an active role in determining the facts that are in dispute by witnesses. Judges may consult with witnesses informally (asking the witness questions straight from the bench). Contrary to what you think, it is nothing like what you see on television with Judge Judy or some other infamous judge. Here, the judge will likely be cordial, courteous, and polite with all the parties. What rules does the judge follow in making a decision? Common sense. Seriously we’re not joking. Decisions should be based on substantive law and on the application of common sense. So if you know substantive law before you file your small claims court case, you will already have a decent chance of knowing whether you will win or lose. What are these state-wide rules? Most of the state-wide rules pertain to the procedures you need to use during your small claims court actions. When we say procedures, we mean the rules and directions you need to follow when filling out your small claim court forms, when you are serving a defendant, how much time you have to file an appeal, etc. These rules can be found generally at California Code of Civil Procedure section 116.120 through 116.870. These are available online. Does the other side have to follow the rules? Yes. Both sides have to follow the rules. This applies to you if you are the plaintiff (person bringing the claim) or the defendant (person being sued). What else do the rules cover? The procedural rules found in the Code of Civil Procedure outline the entire process from who may file a claim (a person/corporation/etc. ), where the claim is to be filed (venue/jurisdiction), who may be sued (you can sue your landlord for your security deposit back here), to whether you can amend your claim, whether a defendant can file a claim against the plaintiff as well, states that there is no formal discovery, etc. For the most part, the rules that govern small claims court cases in California are aimed to be the least obtrusive to the parties while still complying with a level of due process. Due process is an abstract name we’ve given to a set of ideas we believe are required in order for a judicial process to be fair. Things like, did both parties have adequate notice of the judicial hearing, did both parties have adequate time to prepare for the hearing, etc. Questions regarding rules? Feel free to leave your comments below and we are more than happy to help you understand the rules. ← What forms do I need to file with the small claims court? I used to live in Los Angeles and now live in NY but still work for a tutoring agency based in Alhambra, CA as a tutor/coach. I do the work online and on the phone. The company owes me a little less than $ 3,000 for work done between early November and early January. They keep putting me off about paying me, claiming they don’t have the money and will pay me as soon as they have the money. I have invoices dating December 1, December 22, January 2, and January 15 still outstanding. I am paid on a 1099 basis and I don’t think the contract stipulates how long they have to pay – but typically I get paid within 30 days on a 1099 basis (and sometimes in less time than that). I wanted to know a) is this the sort of thing that would be handled in small claims court? b) aside from the invoices and record of payment for 2011, email correspondence, etc., what else would I need to present as proof? c) if I e-file, I assume that I don’t need to be in California. But obviously I would need to be in CA to appear in court. Should I add in the money that will cost in the way of airfare, hotel, car rental, lost wages, etc. as “expenses” and just estimate that? I assume that will come to another $ 1200 or so. Thanks for your prompt response. In order to do this, they put the money they owe employees on back burner. Do I sue the business and them individually? How would I go about collecting the money when they claim they don’t have the money (but they do to put rent for their tutoring center, pay for their house, pay for a f/t bookkeeper, and pay other employees). I don’t see them just writing a check when I win the case – since they could have done that a long time ago. What are my options in collecting if I win? Pleas respond to me in an email if you read this on Monday. I’d like to initiate the action asap as they are now just ignoring me. They have put me off now for eight weeks about paying me the money they owe me. Maybe filing a case will prod them into finding the money to pay me.